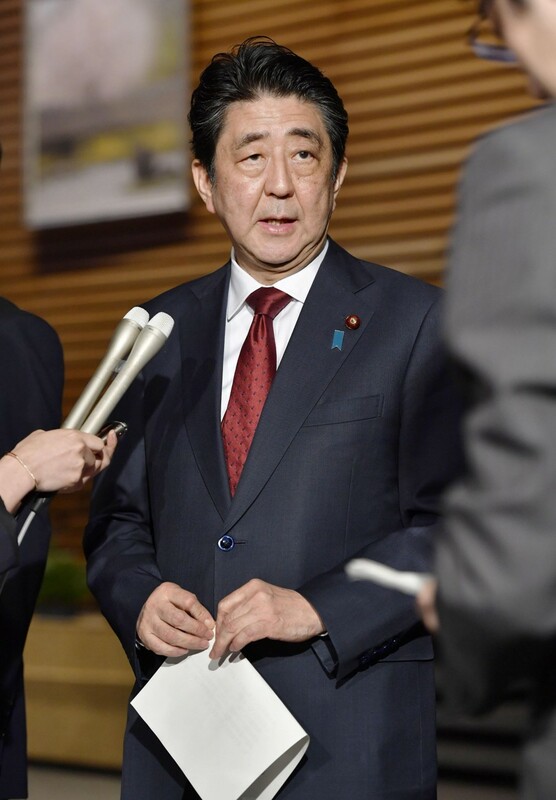 Prime Minister Shinzo Abe said Saturday that Japan supports the decision by the United States, Britain and France to launch strikes on Syria targeting sites associated with the Middle Eastern country's chemical weapons capabilities. "The Japanese government supports the resolve of the United States, Britain and France not to allow the proliferation or use of chemical weapons," Abe told reporters in Tokyo after a meeting of the National Security Council. "We understand this action to be a measure taken to prevent the situation worsening further," he said. Abe said he will discuss the Syria situation with U.S. President Donald Trump during a summit in Florida next week. In a possible reference to North Korea, Abe said the threat of nuclear, biological and chemical weapons is also becoming more serious in East Asia, and Japan will work with the United States and the international community to keep the region peaceful and stable. Trump has explicitly said Russia, a major backer of Syrian President Bashar al-Assad in the country's civil war, is responsible for the deaths of civilians in the alleged chemical attack on April 7 on a rebel-held town near Damascus. Defense Minister Itsunori Onodera said the situation in Syria "is worrying to the international community, including Russia." He told reporters at the Defense Ministry in Tokyo that Japan will analyze what kind of impact the worsening of relations between the United States and Russia could have on the situation in North Korea. Japan's support for the "resolve" behind the reasoning for the strikes echoes its response to a U.S. air strike on a Syrian airbase in April last year in retaliation for another alleged chemical attack. 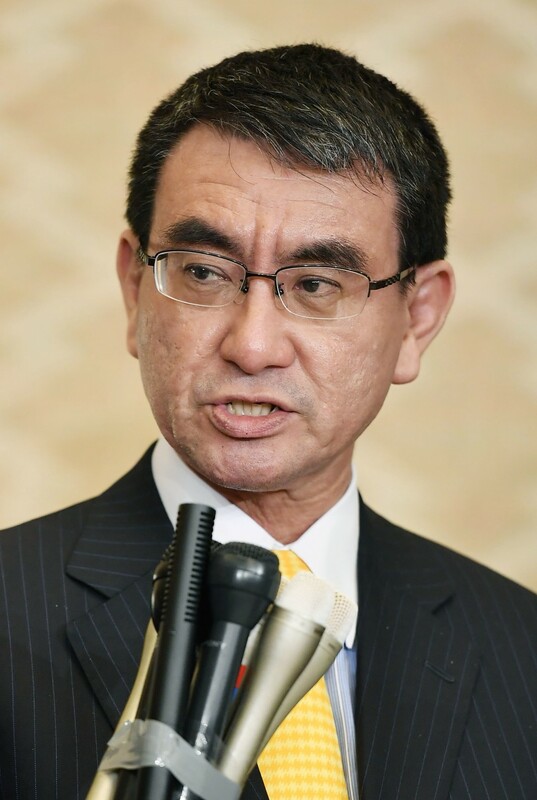 Speaking to reporters after the NSC meeting, Foreign Minister Taro Kono denied that the wording of Japan's message of support means it holds a different attitude from the United States and other allies. When asked if the strikes were legitimate, Kono said Japan is not one of the parties, "and so is not in a position to make a legal evaluation of an action." "If we can't determine who used (the chemical weapons), it's difficult to support the strikes themselves," a government source said. Ahead of the latest strikes, Japanese government sources said Japan would support Trump's "resolve" to prevent the use of chemical weapons instead of expressing support for the air strikes themselves in order to preserve relations with Russia. Japan is eager to make progress on its territorial claim to a chain of Russia-held islands which has dragged on for decades. Abe hopes to advance the issue in a summit in Russia next month with President Vladimir Putin.